I will openly admit I am the WORST when it comes to looking after my hair. As much as I love being blonde and having long(ish) hair, I never really do much to keep it in a good condition. I'm the queen of back-combing, am a bit of a nightmare when it comes to remembering to apply heat protectant, downright refuse to have it cut (ever) and generally aren't much of a fan of brushing it. Needless to say, it's a bit of a disaster area in terms of its condition. Split ends, knots, and general dryness are all part of the package when it comes to my hair. Therefore, I have been trying to make a conscious effort to look after it a bit more. Okay, so there are still days when I can't be bothered to comb/dry it, and it ends up edging towards birds-nest territory more than anything else, but in terms of weekly treatments/split end serums etc. I am doing my best to improve it. 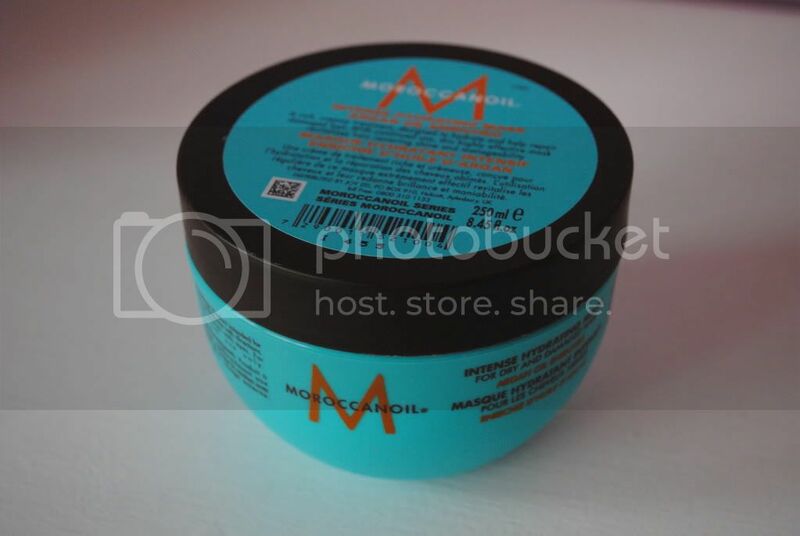 A month or so ago I was sent the Morocconoil Intense Hydrating Mask to try from Hairtrade.com. 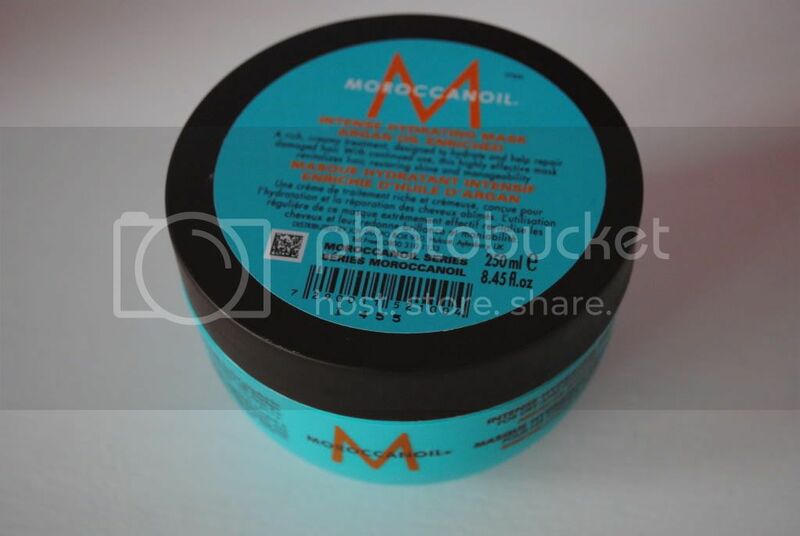 I have heard so much hype surrounding Morocconoil that I just had to give the hair mask a go. Considering it retails for £23.85, I had high expectations. I've been using it as a weekly treatment, using a small amount (as it suggests) and leaving it on for around 10-15 minutes. I often wonder if leaving hair treatments on longer will make them more effective, but from my experience it doesn't really make much of a difference. I also always find myself putting on more treatment than probably necessary, although in this case, I thought 'this is expensive stuff, let's not go OTT' and stuck with the suggested amount. After a month of using the product on a weekly basis, yes, I am impressed. I have definitely noticed an improvement in my hair; it certainly feels softer, and is less prone to knots. My hairdresser was even suitably impressed with its condition, which is definitely saying something (she usually gasps in horror at the state of it). I'm certain the treatment is doing its best to repair my extremely damaged hair, and it's definitely more manageable. Is it amazing? Well, I've only really used it a few times, but I have found that the softness and shine it gives my hair stays, even after the next wash. Is it something I would buy myself? If I could afford it, maybe. However, I think £23.50 is a lot to spend on a hair treatment - although yes, this one definitely works. It might not work miracles, but it has improved my hair, although for the price I think there are probably some cheaper alternatives out there. 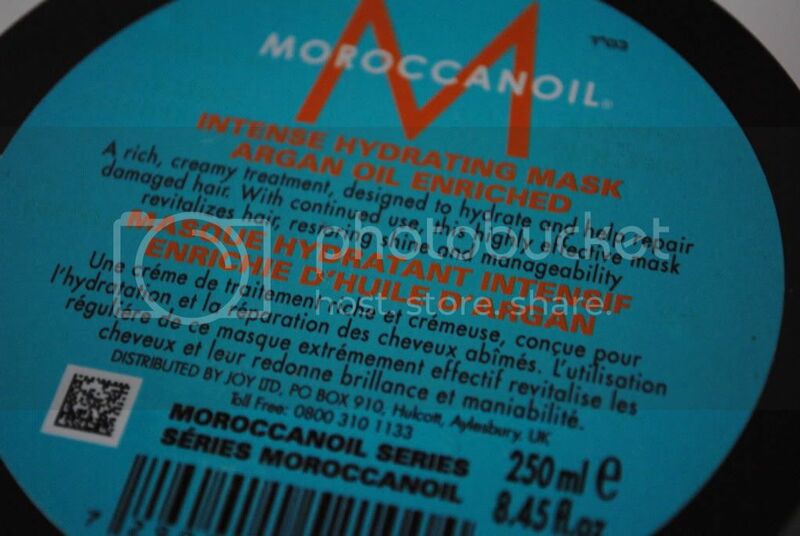 Have you tried the Morocconoil Intense Hydrating Mask before? What did you think to it?